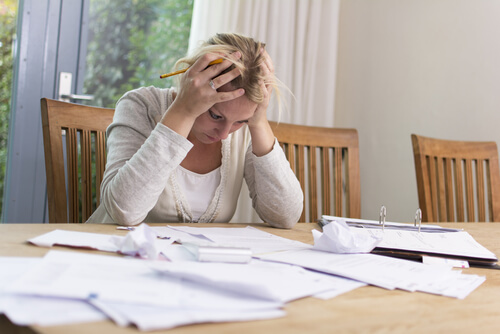 It is unfortunate, but good hardworking people sometimes fall behind on their bills due to unforeseen circumstances like divorce, illness, loss of employment, or various other reasons outside of their control. What should I do? Should I tell my friends and family? How do I protect my assets? What are my options? Do I need a bankruptcy lawyer? Don’t be misinformed about your rights as a consumer. There are many options for you. But beware – there are many companies that are just looking to make a quick buck. Do your research, ask about free consultations with debt consolidation companies and local attorneys. Consulting an attorney is important before making and decisions. They can explain the pros and cons of filing and can walk you through the process. Before filing for a bankruptcy it is important that you know what is involved. Bankruptcy can stay on your credit report for up to 10 years which can make it difficult for you to get a loan, a new car, or buy a home. But, what sets bankruptcy apart from the other debt solutions is the potential to get rid of 100% of your debt. There’s no risk of losing your belongings, and creditors cannot harass you. Make sure you weigh the pros and cons, and don’t feel ashamed or embarrassed. These days, there are many options available, and many people in similar situations. It’s never too late; there is a light at the end of the tunnel.